It is a great pleasure to be here in the City of Johannesburg – the vibrant heart of South Africa on such a special day, and happy Heritage Day! We express our deep gratitude to the Government and the people of South Africa for their generosity and warm hospitality in hosting CITES CoP17. Minister Molewa, it has been an absolute pleasure to work with you in preparing for this event and we express our most sincere thanks to you, as well as the many people who have been involved in this wonderful team effort – and the place looks absolutely fantastic! Erik Solheim, let me join our Standing Committee Chair Øystein Størkersen in warmly welcoming you as Executive Director of UNEP – or as Head of UN Environment, which I know you prefer. Erik, you are known for your plain speaking and action oriented approach, which fits very well with a CITES audience. And to Øystein, I think I speak for everyone here in sincerely thanking you for your tireless efforts as Chair and the great support you have provided to all CITES committees and the Secretariat over the past six years. And thanks also for so generously recognising the work of our small but very committed Secretariat team and the need to increase our resources. The start of CoP17 also provides the perfect opportunity to extend a very warm welcome to the five Parties that have joined CITES since CoP16, namely (in chronological order): Angola; Iraq; the European Union – as our first regional economic integration organization; Tajikistan, and our newest Party, Tonga. Let’s give them all a very warm welcome to the CITES family! We are delighted that each of these new Parties is represented here today. This brings the total number of CITES Parties to 183 (noting that Tonga does not officially become a Party until 20 October). As you know, the capacity of each of our 183 Parties varies, and equitable participation in our CoPs is critical. The Secretariat managed to raise just over 660,000 dollars for our CoP17 Sponsored Delegates Project, which enabled us to sponsor 135 delegates from 102 Parties. We express our deep gratitude to all of our donors. We all know the challenges we have been confronting in tackling the surge in illegal wildlife trade, especially as it affects elephants, pangolins and rhinos. We also know of the challenges in ensuring sustainable and legal trade, including in listed pythons, rosewood and sharks. CoP17 is not just about describing the challenges, it is about reviewing what we have been doing to meet them and determining what more must be done. And we have much to report to this CoP. Significant progress has been made since we last met in 2013, politically, financially and technically. Distinguished delegates, colleagues, since CoP16 there has been an ever increasing level of political interest in wildlife trade issues, in particular on tackling the surge in illegal wildlife trade, and a recognition of the importance of CITES both in its own right and in achieving broader goals and targets, including the UN Sustainable Development Goals, which was the focus of yesterday’s Ministerial Lekgotla. This political interest in wildlife has been expressed in many ways over the past three years, including through Presidents and Prime Ministers statements and initiatives, resolutions adopted by the UN General Assembly, the UN Environment Assembly, and the UN Crime Commission, as well through many high-level political events. This heightened level of political support has also come from the personal initiatives of high-profile public figures, such as HRH the Duke of Cambridge, who was able to convene the transport sector like never before to address its role in combating illegal wildlife trade, within the framework of CITES. This political support has in turn led to more funding being available to address wildlife trade issues. When we last met in Bangkok, we reported on our efforts to engage with the Global Environment Facility (the GEF), which first started when I was given the chance to address the GEF Council back in 2011. Since CoP16, the GEF has committed 131 million dollars to fight illegal wildlife trade and poaching through the new Global Wildlife Programme, which also addresses conservation and sustainable livelihoods. It will also leverage significant additional funds. I would like to thank Braulio Dias, the Executive Secretary of the Convention on Biological Diversity (CBD) who is with us today for his support in transmitting CITES priorities to the GEF Council as well as to thank the GEF, its CEO, and all of the partners in the Global Wildlife Programme many of whom are represented here today. We also have many multilateral and bilateral donors, as well as several philanthropic organisations, here at CoP17 that have scaled up their investment in CITES issues. We sincerely thank all of you and encourage you to invest even more - noting that a relatively small investment in wildlife trade issues can make an enormous difference. While much of the political attention has been given to the leading role CITES is playing in tackling illegal trade in wildlife, the heightened interest in CITES does not stop there. Indeed, countries are increasingly turning to CITES to ensure the legal, sustainable and traceable trade in commercially valuable timber and marine species with numerous proposals from range States being put before you at both CoP16 and here at CoP17. This represents a major and positive shift in CITES and complements our historical association with a wide range of many other wild animals and plants. our work through ICCWC - the International Consortium on Combating Wildlife Crime, in providing coordinated enforcement support to over 30 countries in deploying the tools and techniques needed to combat transnational organised wildlife crime. We are delighted that Kunio Mikuriya, the Secretary General of the World Customs Organisation is with us today. He has been a steadfast supporter of ICCWC right from its inception. If time permitted, I could go on to mention our work with the UN system under the leadership of Secretary-General Ban Ki-moon to strengthen the UN systems response to illegal wildlife trade, and many other initiatives, within and outside of the UN, including with the non government sector. They will be addressed through the course of the next two weeks. The reason I mention these few examples is to clearly show that at CoP17 we are not just talking about the challenges and what we need to do. We are talking about the well-targeted actions we are taking with multiple partners, as well as what more needs to be done. Working with others, we are active in the conference halls at the highest political levels right through to the front lines: working with the people on the ground who make this Convention work - the CITES management and scientific authorities, as well as customs officials, local communities, businesses, police, prosecutors and park rangers. That is not to say we are there yet - but our collective actions are clearly having a positive impact, which will be highlighted here at CoP17, and while more needs to be done, we are on the right track. If we persist we will succeed in ending the surge in illegal trade and in preventing unsustainable levels of trade. As I am sure you have already gathered, CoP17 is by any measure the largest event in CITES 43 year history, which is a good barometer of the level of interest in the Convention. I’ll not repeat all of the statistics for you, other than to say the size of the agenda for CoP17 eclipses all others and we have well over 2,500 registered participants for the first time ever. It will take a herculean effort to get through our agenda by 5 October but I am sure we are all up to the task! As your Secretariat, we have used our best endeavours to collect and present the best available science and information to help inform and assist you in your deliberations. This Conference of the Parties is sovereign and you will now take your own decisions, acting in the best interest of the species concerned. Distinguished guests, colleagues, the stakes are high under CITES and intense and robust debates are to be expected. There is nothing wrong with that - after all, the decisions you take here in Johannesburg will have a real and immediate on-the-ground impact. They will find their way into legislation, regulation, and operating practices across the globe and will directly affect when, where and how wildlife and wildlife products can be traded. Decisions taken here at CoP17 will affect wildlife and ecosystems, people and economies. On some issues, there are clearly legitimately held differences of opinion over the best way to ensure the survival of wildlife. The particular point of view someone has does not make them any more or less committed to the conservation of wildlife - rather, it is a reflection of differing perspectives on how to achieve agreed objectives. 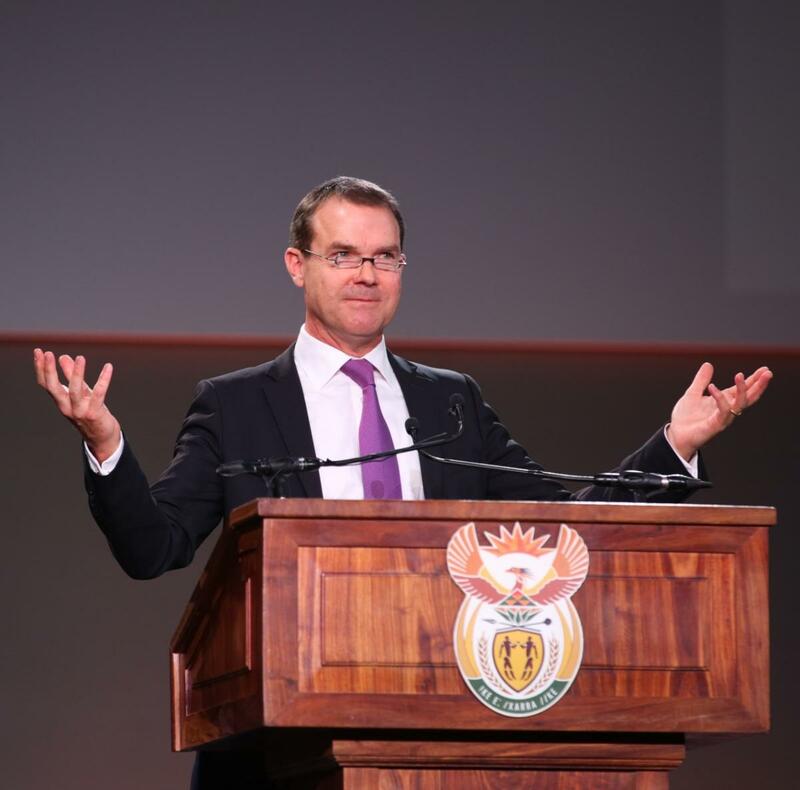 I was born and grew up in Australia, as you may have gathered from the accent, and we are here in South Africa - two countries that love their sport - and I’m sure we all recall that memorable moment when President Nelson Mandela handed the Rugby World Cup to South Africa right here in Johannesburg in 1995. Rugby is a full body contact sport and people play it hard and they play to win. Sounds a bit like CITES sometimes, yes? Well, maybe, but only very occasionally! If you have ever taken the time to watch a rugby match you will see a remarkable spirit of sportsmanship. There is a respect for the opposing players - both on and off the field - and for the referee. We can at times play it hard at this CoP, yet respect each others differing views. We can work hard towards agreed positions, wherever possible, while also recognising that CITES has never shied away from a vote when it is needed. 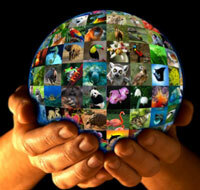 How we conduct ourselves is, to quote the theme of this year’s UN World Wildlife Day, in our hands. What we do know, is that everyone here - and all of those people from across the globe watching us via the webcast and following us via traditional and social media - are really looking forward to this CoP and will be following its decisions with great interest. Your extended Secretariat team at CoP17 is here to offer you our full support in ensuring we have a really productive and successful meeting. Honourable Ministers, Distinguished guests, the stage is now set for a truly wonderful CoP!